What Is SafeContractor and who needs it? SafeContractor is a market-leading health and safety assessment scheme. It was developed to avoid the need for individual contracts requiring re-assessment of a supplier’s health and safety competence. 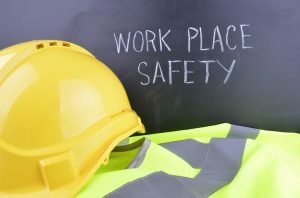 Contractors, companies and individuals applying for work with public and private sector organisations must meet required health and safety standards to be awarded a contract. SafeContractor states that ‘many small and medium sized contractors will fail their first assessment; this is an indication of poor compliance in SMEs’. We have a team of specialist SafeContractor professionals with the skills and knowledge to take you through the process to a successful conclusion. Throughout the SafeContractor application process, you can reference us as your qualified, competent H&S professional. Once accredited you will be able to display your Certificate and use the SafeContractor logo on your website or vehicle to promote your status. We offer annual health & safety support contracts to help you keep on top of compliance.